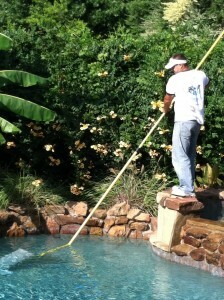 Cool Pool People began serving Frisco, TX in 2008. We take special pride in providing excellent customer service to our clients with the utmost detail and care. You can rest assured that we have the right portfolio of products, services and the necessary know-how to address all of your swimming pool related concerns. The Cool Pool People pool service team is easily recognizable by our distinct Cool Pool People trucks. Our employees are friendly, reliable and respect your privacy with utmost discretion.